I remember vividly an extraordinary summer morning in 1969, at Pulaski Heights Methodist Church in Little Rock Arkansas , when the first seeds were planted. I arrived at Sunday School to discover that I was the only student in attendance and that my usual teachers were also strangely absent. Their mysterious substitutes, for that Sunday only, introduced me to the unorthodox teachings of Edgar Cayce, who spoke about spiritual life and healing in ways that radically expanded my worldview. Autobiography of a Yogi by Paramahansa Yogananda soon followed, fertilizing the ground of my new views, and I, like so many of my generation, was intrigued by the path of yoga he described. Three summers later, while traveling in the Ozark Mountains, I discovered the Integral Yoga Ashram in Eureka Springs, founded to share the teachings of Sri Swami Satchindananda. 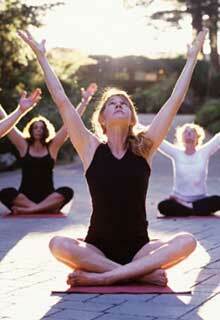 Here I received a brief but powerful introduction to yoga’s daily practices. The inner journey had begun, and I continued to seek inspiration from those few brave souls who shared the yoga teachings in the South in the early 70’s. Meanwhile I pursued my understanding of the human experience through academic study. I graduated in the spring of 1974 from Peabody College of Vanderbilt University with a BA in Psychology and enough master’s level counseling coursework to qualify me for admittance to the fall term of Vanderbilt’s doctoral program in Clinical Psychology. That summer however, I picked up another book that again shifted my thinking and the course of my life. The Myth of Mental Illness: Foundations of a Theory of Personal Conduct by Thomas Szasz, helped me to recognize that my experientially grounded philosophy had already placed me outside the confines of the existing constructs of psychotherapy. I felt I needed a more inclusive wellness- focused paradigm and more direct tools to be of service to others. So with some trepidation and much delight, I stepped out of the world of higher education and into my world of higher learning. My first travels were in miles…from the uncomfortable familiarity of the Deep South to the strangely diverse pulsing center of Boston. But It wasn’t long before I chose a more peaceful home on the salt marshes and tidal waters of the beautiful North Shore, where I made my first two heart felt adult commitments: one to my studies at the Ashram Integral Yoga Center with Joann Sherwood and the other to the man who became my husband of 23 years and the father of my two sons. Summers before had presented circumstances that changed my direction. Now it seemed I entered a long New England summer that lasted 25 years during which my personal and professional garden matured. 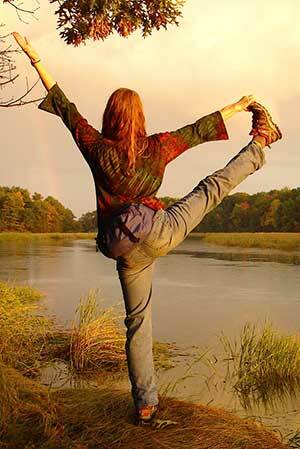 I practiced and studied yoga, receiving my first Yoga Teacher Certification in 1977. The following year I was initiated into Transcendental Meditation as taught by Maharishi Mahesh Yogi. I grew to trust my personal truth to be revealed through the intrinsic intelligence of yoga’s asanas and the quiet of my sitting meditation practices. I also cultivated complementary healing arts, studying various styles of massage, and then as I felt the desire for my touch to go beyond the relief of muscle tension, became certified in Polarity Therapy, Dr. Randolph Stone’s system for balancing our governing “energy body". My practice flourished. Following an automobile accident, I credited much of my rapid recovery to CranioSacral Therapy, so I continued my study of therapeutic bodywork with the Upledger Institute. I established The Opening Space in Newburyport Massachusetts to share yoga and therapeutic bodywork. There were “stones” in my garden as well, old wounds from childhood unearthed for healing, and later, a staggering grief upon the death of my husband. These darker seasons were fertile as well. It was during my mourning that I found strength in the structured support of Ashtanga Yoga, introduced to me by Beryl Birch Bender, and steadiness in the practical approach to spiritual living taught by Reverend Shipley Allinson of the Unity Fellowship. I also explored the writings of Myrtle Fillmore and Florence Scovel Shinn, that still provide essential nutrients for my soul and inspire the “intuitive witnessing” and “artful affirmation” that I share in my work today. As the season of grieving turned to springtime, I was once again able to share my talents in private practice as Integrative Bodywork, bringing a more seasoned depth of presence to my work. The California Years: In 2002 a leap of faith led me to Napa Valley for this sunny and fruitful season of my life. I re-opened my office doors as Simply Wonderful Yoga and Massage. My studies continued, adding bodywork practices suited to our warmer climes -Aqua Massage, Therapeutic Aqua Yoga and Thai Massage. In 2010, I became a California Certified Massage Therapist. The following same year, on the Big Island in Hawaii, Kahuna Harry Uhane Jim shared his infectious laughter while teaching Sacred Temple Lomilomi , and confirmed my belief that my intuition is my most creative and trustworthy guide. Aloha! In the fertile NapaValley, my yoga practice also bloomed. Upon completion of the Yoga Programs Advanced Studies/Teacher Training Course in 2004, I registered with Yoga Alliance as an RYT500. I was introduced to a playful style of Anusara Yoga by Ulirka Engman. I opened to the world of healing sound in Nada Yoga, and I now delight in sharing this as part of my Peaceful Immersion Yoga experience. 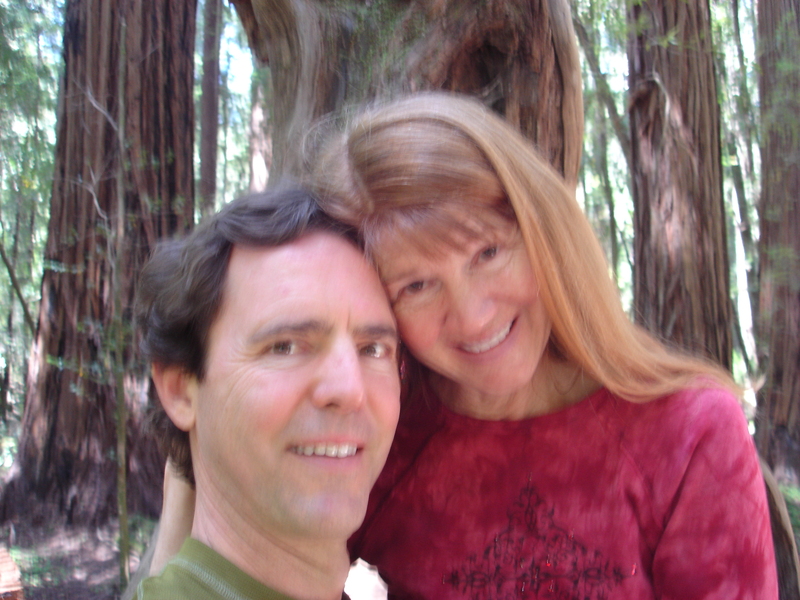 The best gift of my Napa Valley yoga community was an introduction in 2005 to an inspiring fellow yogi, John, who is now my husband and fellow explorer of life as it upfolds. My decision to act on a life long dream in 2013 led me to add a four legged member to our family, Kali Rose, a now 9 year old Morgan mare. If I thought my personal work was done, I was very much mistaken. By her equine nature, Kali Rose insists that I be quietly, gracefully, solidly and authentically grounded within myself and fully present, so that I may be a safe leader for her as we navigate the wooded trails and unexpected happenings they reveal. This has been the training ground to prepare for the next stage of my work in the healing arts. From a training accident I incurred a head trauma in the summer of 2014. In recovery, I was gifted the two amazing Essential Oils--Frankincense and Balance Blends. With their support, I embraced full recovery and set about the good work of sharing them with my friends, family & client community. As it is so often happens in life, it seems that my journey with love and loss is not over. In June of 2015, I was stunned by the death of my youngest son, who lost his own battle with depression. There is no quick or easy way through this kind of deep loss. However it did deepen my respect and trust in the healing powers of my practices, especially my reliance on the emotional aromatherapeutic properties of the essential oils. I have since studied and certified in Matrix Reimprinting with Rob Nelson, EFT (Emotional Freedom Technique) Instructor extraordinaire, and found a dynamic healing relationship is possible in the EO and EFT partnership. As interest has grown, I have used the platform of Network Marketing through social and professional networks to provide plant based therapeutic grade essential oils as wellness support in every health conscious home, to use the tools of EFT and Intuitive Witnessing, originally developed as an enhancement to my healing arts, as a powerful business mentoring tool and to practice Prosperity with Integrity at an advanced level. I am truly blessed to enjoy my family, our lives and this glorious place we call home! Each day I find satisfaction in discovering how I can best serve those who also choose to awaken to their greatest health and happiness!